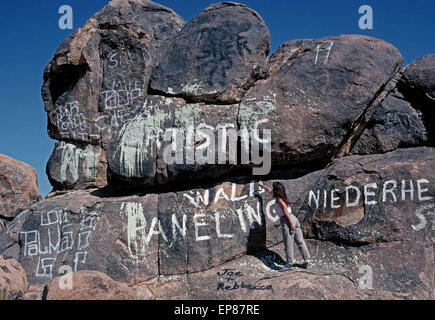 Spray-painted names and other graffiti deface the boulders and natural scenery in the desolate Mojave Desert near Johnson Valley in San Bernardino County in Southern California, USA. 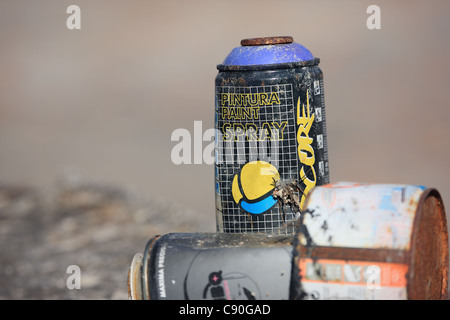 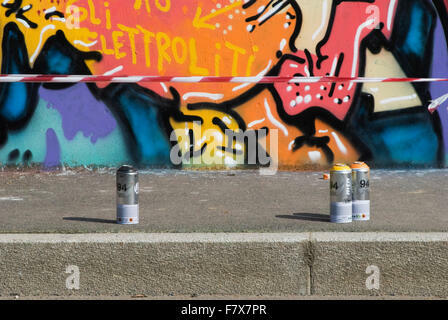 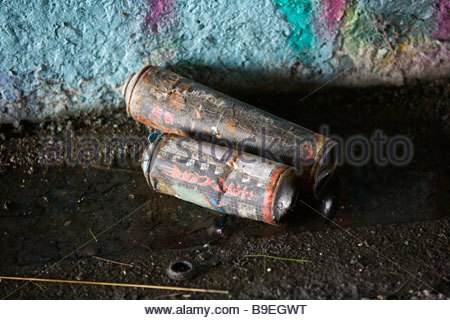 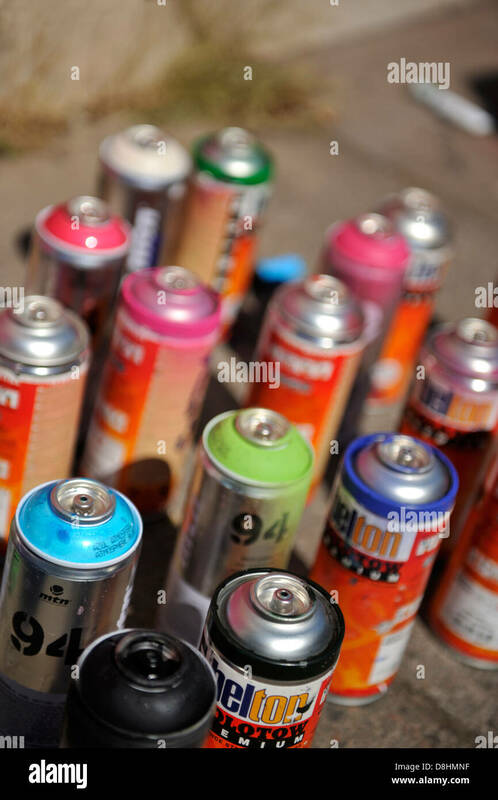 Cans of white, black or colored aerosol paints are commonly used to disfigure the rocks without any artistic effort often seen with graffiti in urban areas. 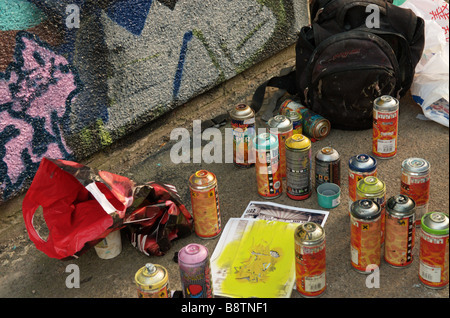 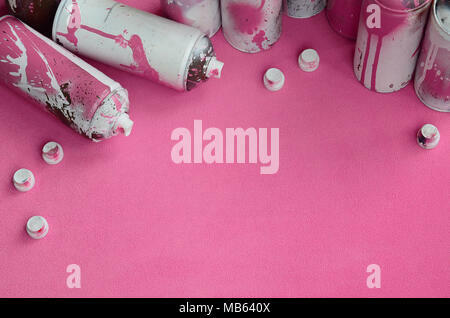 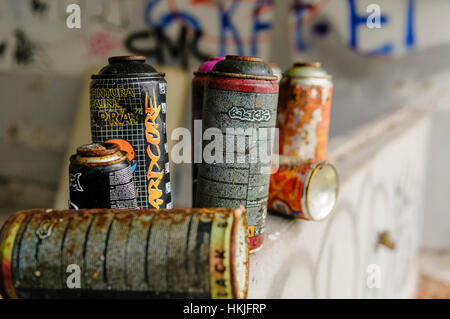 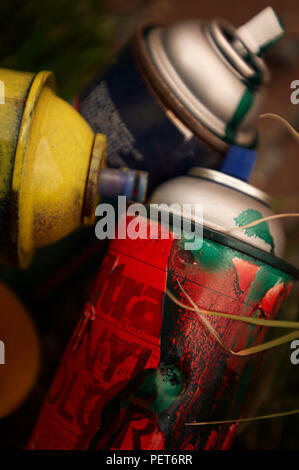 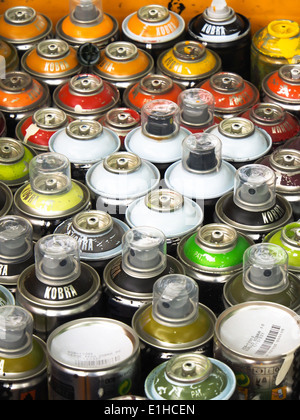 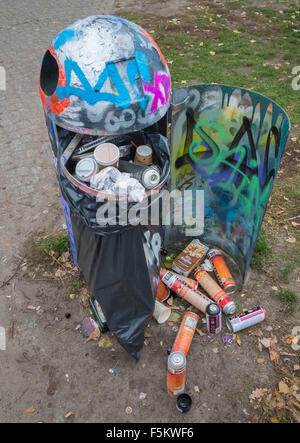 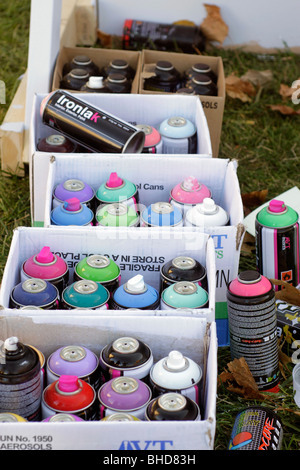 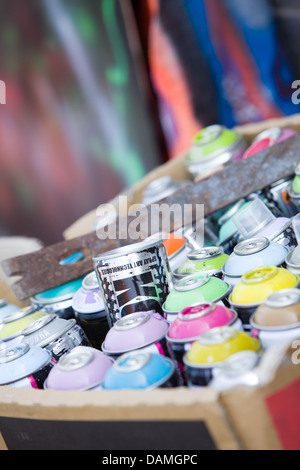 A box full of aerosol spray cans used to make graffiti.